What? In 2008 Steve Preston, then Secretary of US Housing and Urban Development said Detroit was at the “epicenter of the foreclosure process”. 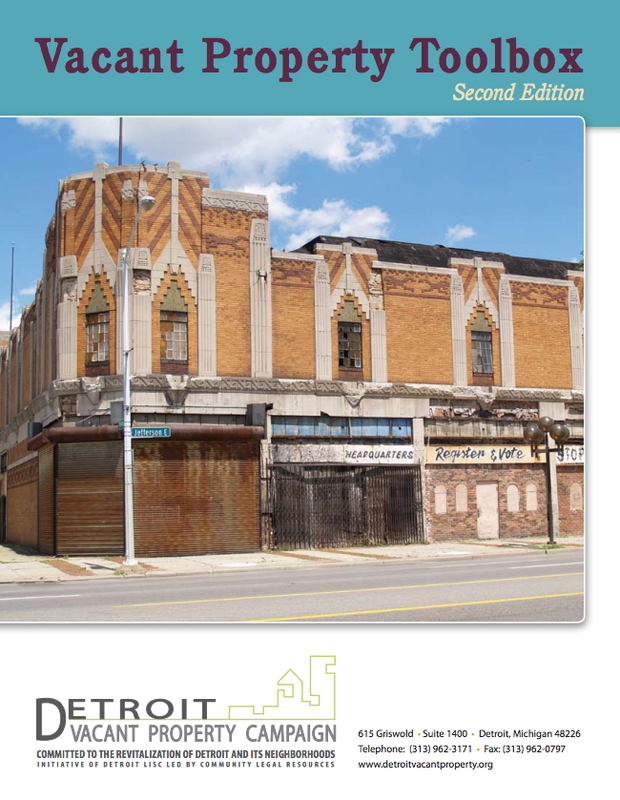 That same year Detroit LISC and Community Legal Resources (now Michigan Vacant Property Campaign) worked to make a series of recommendations for residents in the midst of the vacancy crisis. With the creation of the Vacant Property Toolbox (First and Second Edition), LISC and MVPC sought to address two primary audiences: those at risk for foreclosure and those aiming to remediate vacancy in their neighborhood. Why? Vacancy can cause devaluation in property and safety challenges for a neighborhood but with sufficient resources and partners, it can also represent a place for new beginnings. The Vacant Property Toolbox responds to both the challenges and possibilities that vacant properties pose while also giving concrete strategies to avoid vacancy. Population loss and increases in vacancy can make it difficult for a city to thrive but thoughtfully managed vacancy can provide an opportunity for a community to embrace its strengths and collectively shape its future.